Last changed on: 06/10/2008 @ 8:27 PM. Nursing school can be challenging enough, let alone when you also have kids to think about. Whether you're pursuing a 1, 2, or 4-year nursing program, the workload can take a toll on the most driven student. 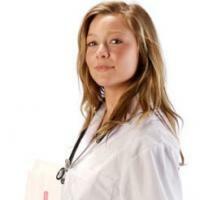 The good news is, many parents have completed nursing programs and survived to move on to a satisfying nursing career. With these tokens of advice, gathered from various nursing forums and resources throughout the Web, you can be one of them. No one should fool themselves into believing they can pull off nursing school without cutting some corners. When it comes down to it, the two most important things in the life of a nursing student parent are getting the nursing degree, and keeping the family together while doing it. This means some things are going to slip from your priority list, and that's normal. Housekeeping shouldn't take up the time it might have in the past. No one will blame you for neglecting dusty ceiling fan blades, ignoring the tile grout in the bathroom, or letting dust bunnies accumulate under the sofa while you're in nursing school. Just keep the lights low if company comes over. Family meals don't need to be a production every time, either. Mac & cheese, soups, salads and sandwiches can feed kids just as well. The slow cooker or crock pot is also known to be a great friend to nursing student moms and dads. Making the entire week's meals on Sunday is another strategy that scores you multitasking points. Just stay away from the three-day-old PB&J trick. If you're a nursing mom who is lucky enough to have a supportive husband, or a nursing dad who has the benefit of an understanding wife, your spouse can be your ticket to keeping your sanity intact while you pursue your nursing degree. Let them take the kids out of the house for a few hours if you need to get in some study time. They can enjoy a trip to the park or an afternoon movie, and you can have the alone time you probably need desperately. Your spouse might also be able to help with the housework you don't have time to get to, or do some of the shopping and errands on their way to and from work. If your kids are older, they might even be able to help in the areas you can't get to. Kids can be surprisingly understanding, and your new career will be worth any burden placed on them now. It's also a rule of thumb that grandparents, aunts and uncles make good babysitters, so don't be afraid to ask them. Previous generations of nursing student parents have created an impressive pool of ideas for getting their studying done while raising a family. The most important resource at your disposal, of course, is other nursing parents. Studying as a group while the kids entertain each other is a good way to get several heads involved in the task of memorizing terminology, as well as the chore of keeping the kids out of trouble. If your kids are in school, homework can become a group activity, giving you the time to do yours and help them with theirs. 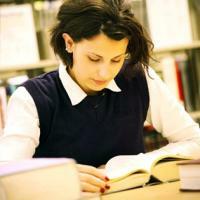 Flash cards also make a good study aid, and can be taken to soccer practice or karate lessons. The bath can even be a good place to study, since it's almost the only place where you won't be disturbed. Though it's possible to hold a full-time job, go to class, and raise kids all at the same time, your family -- and your health -- would probably be better off if you just took the student loan route. Working part-time and splitting your week between school and work is harder on your monthly budget, and your family may not enjoy eating Ramen on a weekly basis, but if you're there to eat it with them (and assure them the situation is only temporary), they'll be happier in the long run. If you run a business out of your home, it might be worthwhile to look into online classes. Some schools offer their curriculum in an online format, making it easier to be in the classroom, at work, and with the kids all at the same time. Be sure to consider this option while choosing a school, as the availability of online programs may vary. Of course, even if your prerequisite classes are a breeze, the nursing program itself will be quite a hurricane. Once you're in nursing school, you might consider letting your spouse hold down the fort financially, if possible. After all, you're building the foundation for a higher income, so you'll be able to make up for it once you graduate. Many nursing student parents aren't prepared for the work load placed on them once they go back to school, so they're caught off guard without knowing how to handle everything at once. The thing to keep in mind is that going to school, working and raising children all at the same time, though it isn't easy, is absolutely doable. If you're prepared to strategize and plan ahead, you can make it through, and even keep your mind in the process. The ages of nursing students range from 24 to over 55, and some of them are parents of 1, 3, or even 6 kids ranging from infants to college age. If those parents can do it, there's no reason you can't. Besides, with nurses regularly earning over $69,800 annually and the US Labor Bureau expecting a 23% increase in nurse employment by 2016, as well as the numerous advancement opportunities available to nurses, including administrative and management positions in a variety of medical fields, the career you build will be more than worth the stress of going through school. Soon enough, those evenings of homework over cold-cut sandwiches will be the memories you'll laugh at on your Caribbean cruise vacation. I was just accepted into a nursing program. I am a mother of five boys 15, 12, 11, 10, and 8. I am also currently going through a divorce and have been married to a sevice member. I have the option to quit school and move to my home state. However, I started the program with the hopes of offering my boys a better life. I am worried I won't be able to make ends meet, with rent and utilities. Should I continue with the program and pray that I find a job that will work around my clinicals, or do I move to my home state and start from nothing again? Does anyone know of any programs that will help in assisting making the ends meet while I'm in school? Wow, that's a load you have there. Any kind of schooling is made harder when there are kids in the picture, but the bright side is once you reach the end of it, you'll be able to make much more income than before. Try glancing through some nursing forums, you'll see a lot of other moms in similar scenarios who can give you some encouragement.